Yokohama's Noh Theatre is bringing its ever-popular 'barrier-free' performance back for its 16th run. 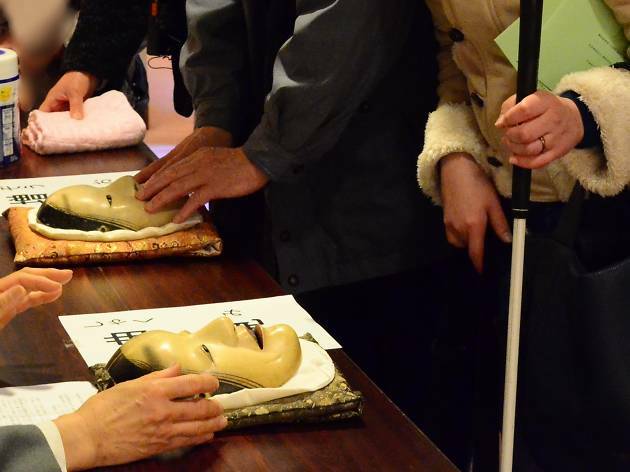 From a free ticket for an accompanying assistant and braille pamphlets, sign language interpreters and subtitles during the performance to an exhibition of masks you can touch (and thus enjoyable even for those visually impaired), this show is a chance for absolutely anyone to appreciate noh and kyogen (traditional comic theatre). 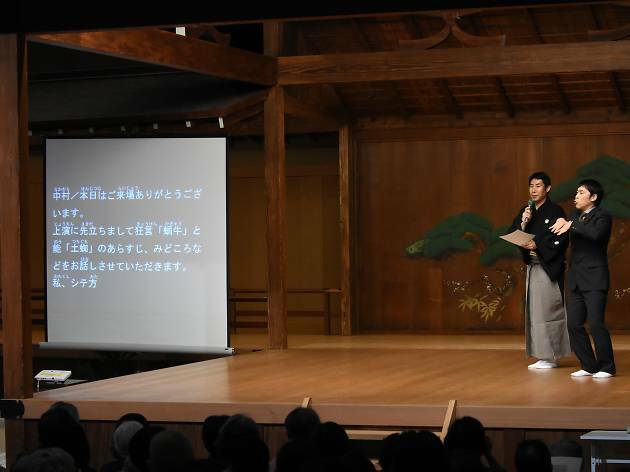 The kyogen show on the day will be the story of Obagasake, where a bargain is struck about sake between an aunt and a nephew, the latter played by the fabled Manzo Nomura. It's an interesting piece, especially as it dips into the historical narrative of the many women who used to produce sake, while the nephew is the quintessential clown. 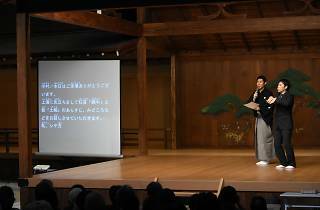 The noh piece, on the other hand, is Kokaji, full of scenes in which the skilled Munechika tries to forge a sword with the help of the kami Inari. It's a light play that's relatively easy to understand even if you're not a noh connoisseur.